My mother died a year ago so she missed out on our last Thanksgiving and Christmas. 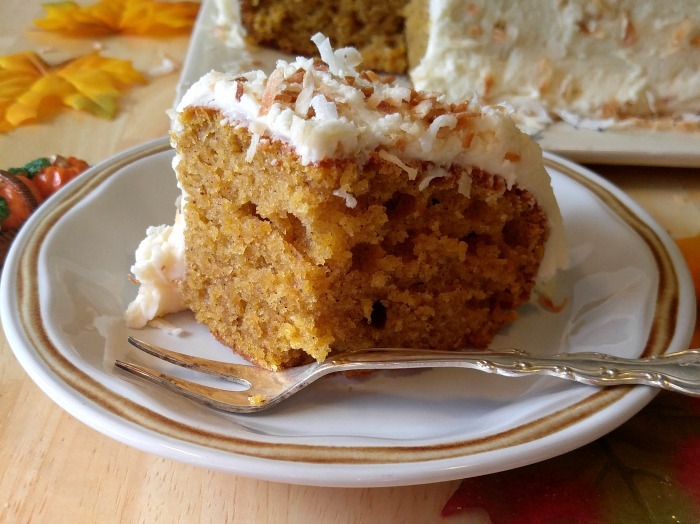 One of her time honored traditions was to serve a pumpkin cake each year, for both of these holidays, with her special toasted coconut frosting. She is not here this year, but that does not mean the cake will be missing! Thank you Bob’s Red Mill for sponsoring this post! Check out their full line of wholesome baking products at BobsRedMill.com. Want to try using fresh coconut in this recipe? It will make this frosting even sweeter. See my tips for buying and storing fresh coconut here. 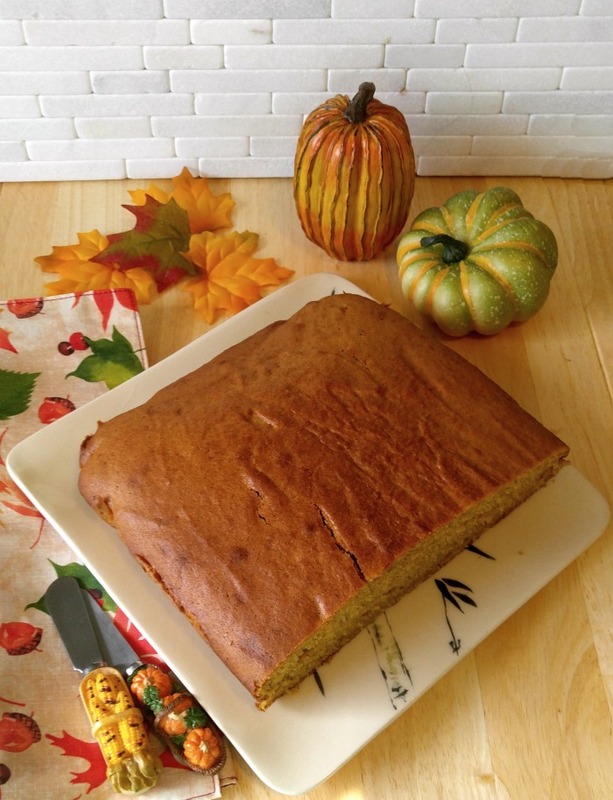 The cake is super moist and delicious with the lovely flavor of fall pumpkins. 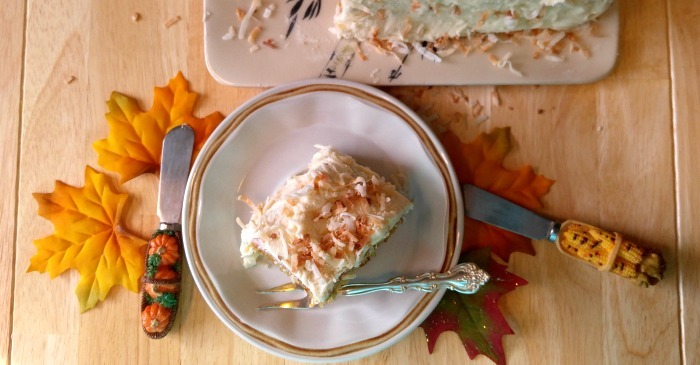 The top of the cake is iced with a normal butter cream frosting, but it has the special surprise of being sprinkled with oven toasted coconut. My husband is not normally a fan of anything with pumpkin in it. He could easily be called the Pumpkin Scrooge! But he definitely makes an exception for this great tasting cake, and it is always included on our Thanksgiving table with pride. Just look what is going to go into this cake! My mouth is watering already, thinking of how great it is going to taste. 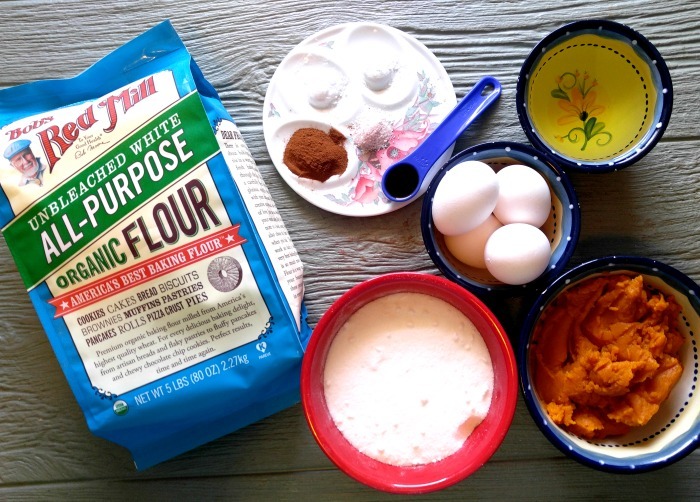 I used Bob’s Red Mill Organic Unbleached White Flour for this recipe. This flour is freshly milled from Organic hard red wheat. When it is finished, both the bran and the germ have been removed from the flour. It has no additives and produces very well textured and light baked goods. This is exactly what I want in my cake! 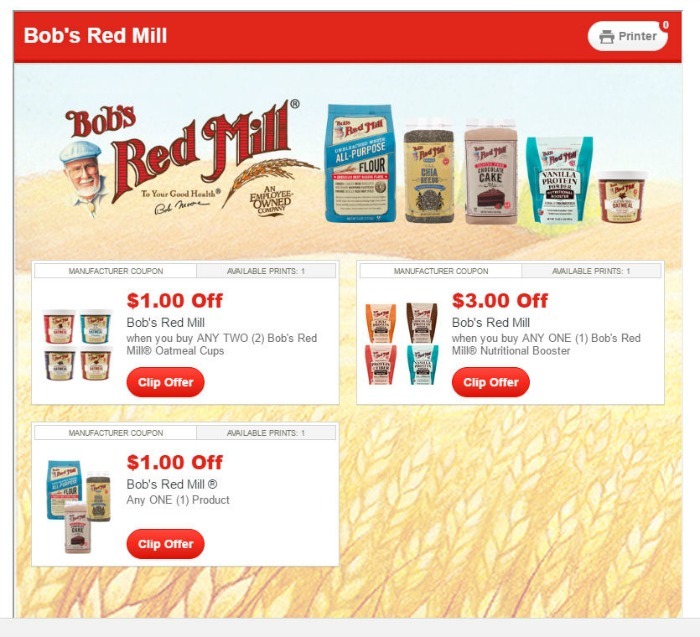 As an added bonus, you can also print out a coupon for some savings on your purchase of Bob’s Red Mill baking products on the Bob’s Red Mill website! 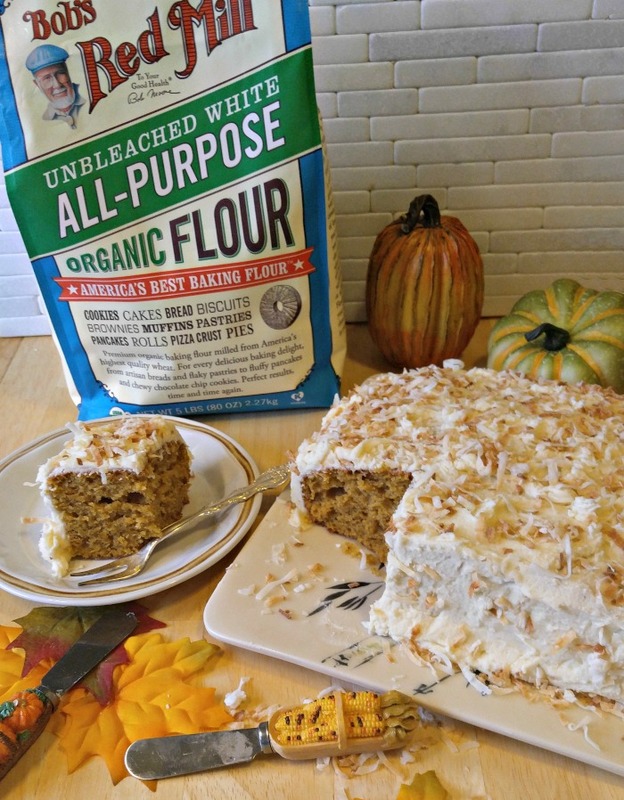 It’s time to make this Pumpkin Cake with Toasted Coconut Frosting. So, let’s get down to business. No messing around. This is one of my FAVORITE cakes. It is moist and full of pumpkin flavor. It tastes fabulous on its own, but add the frosting? Oh my goodness – perfection in a pan! The bonus with this toasted coconut frosting is that the frosting gives a nice bit of texture to the cake without adding nuts or seeds to it! To start the cake, combine all of the dry ingredients in a large bowl and whisk them well. Mum used to re-sift all of her dry goods but I find that whisking them is quicker and still gives a light textured cake. In the bowl of a stand mixer, add the sugar, oil and canned pumpkin. Mix well, and then beat in the eggs, one at a time. Next comes the flour mixture. Just like I do with any cake, I added it gradually, mixing well between each addition. 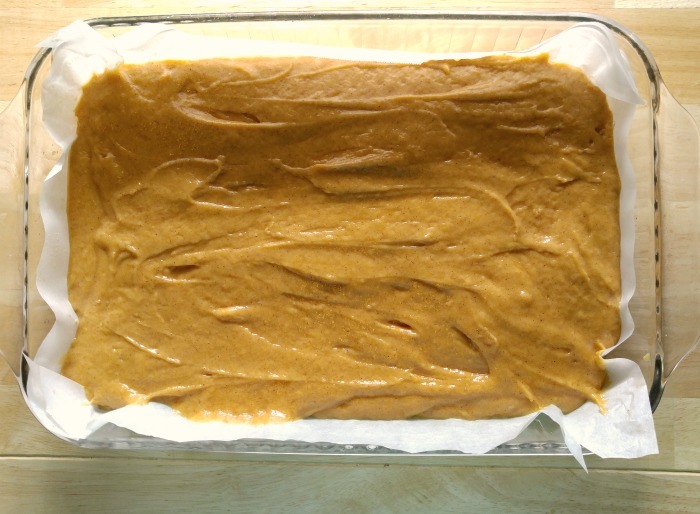 The cake goes into a prepared 9 x 13″ pan and then into a preheated 350º oven for 45-50 minutes. The cake is ready when a toothpick inserted into the center comes out cleanly. Look at that golden pumpkin color! I can’t wait to dig into it. The kitchen smells divine right now. This recipe makes a very large cake. When I serve it for Thanksgiving or Christmas, I ice the whole cake. But at other times, when we don’t have such a large gathering, I cut it in half and freeze one half of the cake for later. It can be frozen both iced or plain. The cake will keep for a few months in the freezer either way. The frosting is a simple butter cream frosting with a special coconut treat on top. I just mixed together the egg with the melted butter and added the powdered sugar and pure vanilla extract. Once the cake had totally cooled, I frosted it with the buttercream icing. 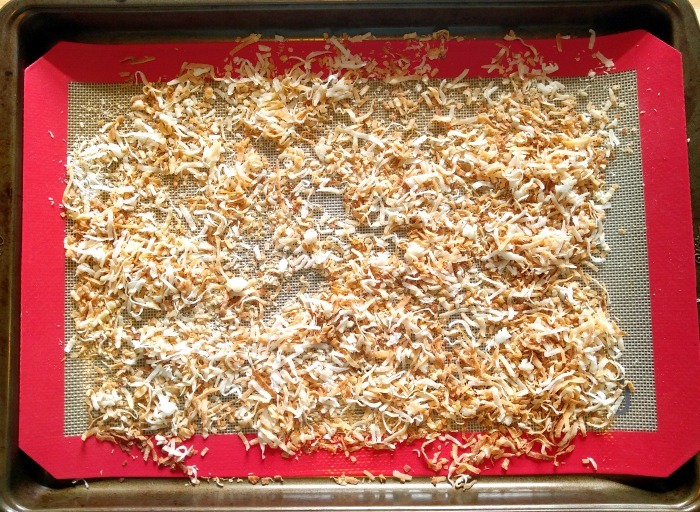 To make the toasted coconut surprise, just place flaked coconut on a baking sheet lined with a silicone baking mat or parchment paper and toast it in a 350º oven for about 5 minutes until lightly toasted. Check it often so that it doesn’t burn. I took mine out about half way through and stirred it around. Sprinkle the toasted coconut over the whole cake, then cut and serve. 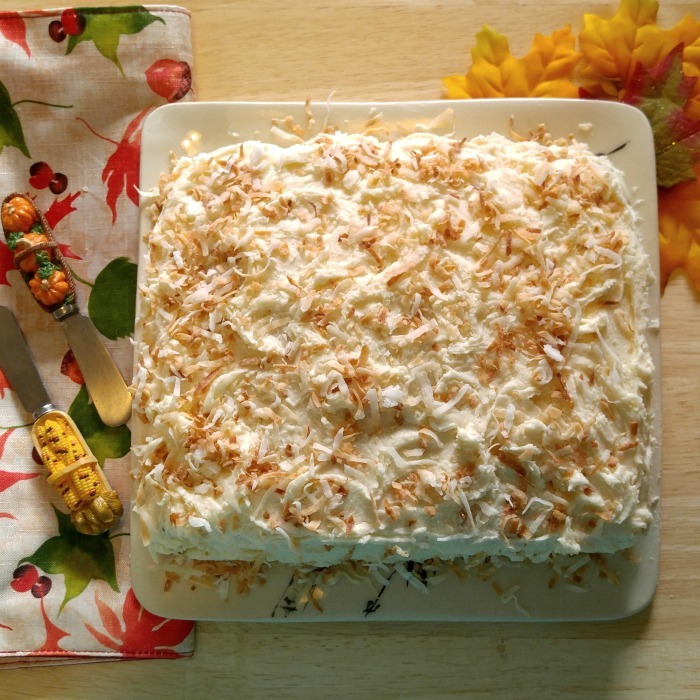 Every bite of this delicious Pumpkin Cake with Toasted Coconut Frosting is a reminder of the holiday season. 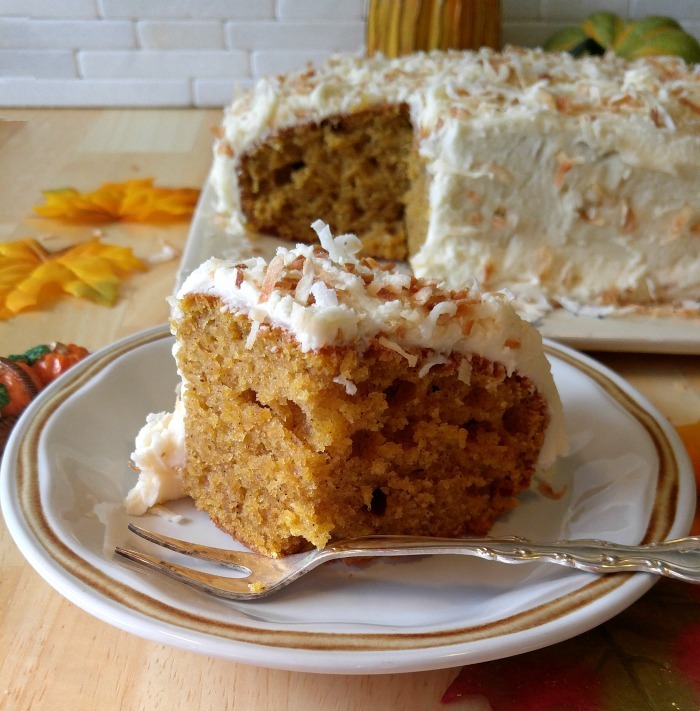 It has the savory flavor of the pumpkin, and the frosting has a nice texture from the crunchy coconut that is sprinkled over it. Your family will love this delicious cake and it’s bound to become one of your family traditions just like it has in my family. 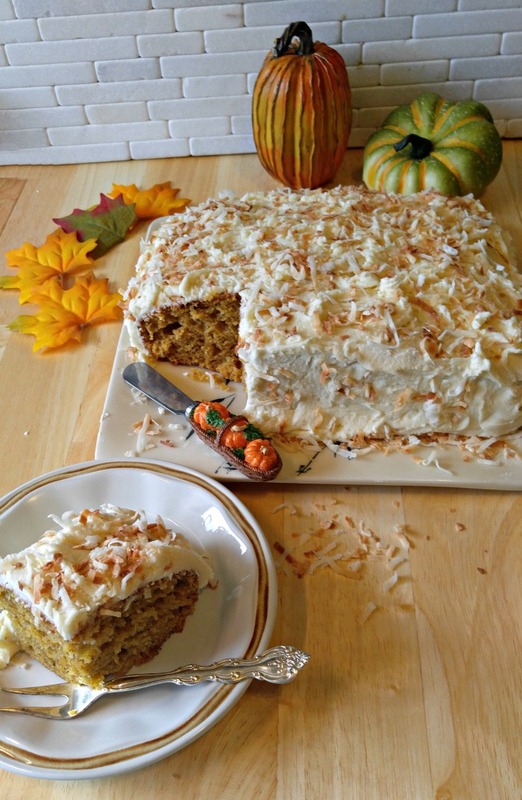 This homemade Pumpkin Cake with its Toasted Coconut Frosting makes the perfect fall dessert. It should really be nicknamed Autumn in a Cake. This super moist pumpkin cake is so easy to whip up for Thanksgiving, Christmas, or any holiday party. The flavors combine really well together and make for an over the top delicious dessert! For more great Thanksgiving ideas, be sure to visit my Let’s Give Thanks board on Pinterest. Do you have a special dessert that you serve every year in memory of your mother? I’d love to hear about it in the comments below. 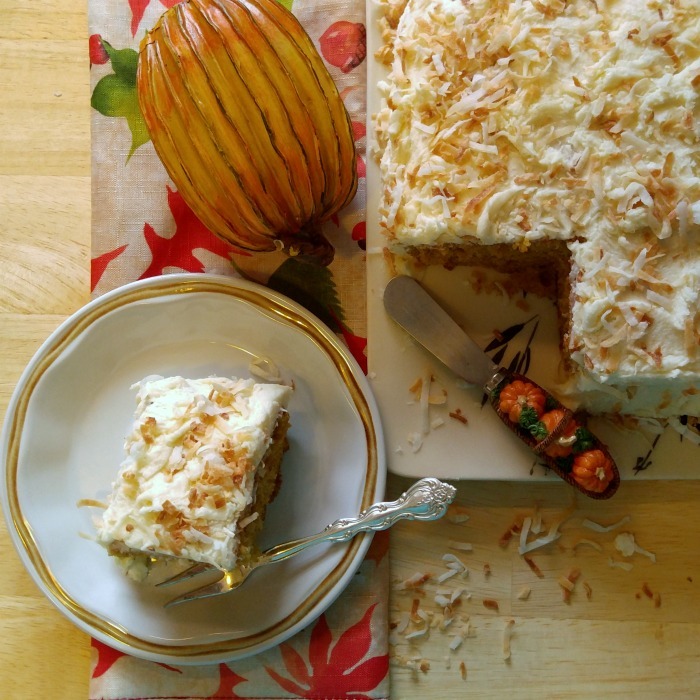 One of my mother's time honored traditions was to serve a pumpkin cake each year, for both of these holidays, with her special toasted coconut frosting. Grease and flour a 9 x 13" pan, or line it with parchment paper and spray with cooking oil. 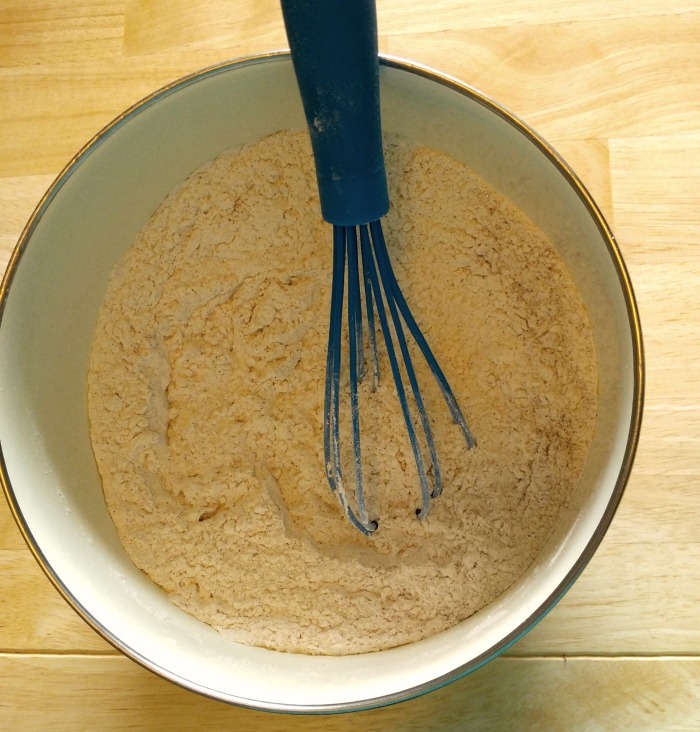 Combine the flour, cinnamon, baking soda, baking powder and sea salt in a large bowl. Gently whisk to combine all of the ingredients well. 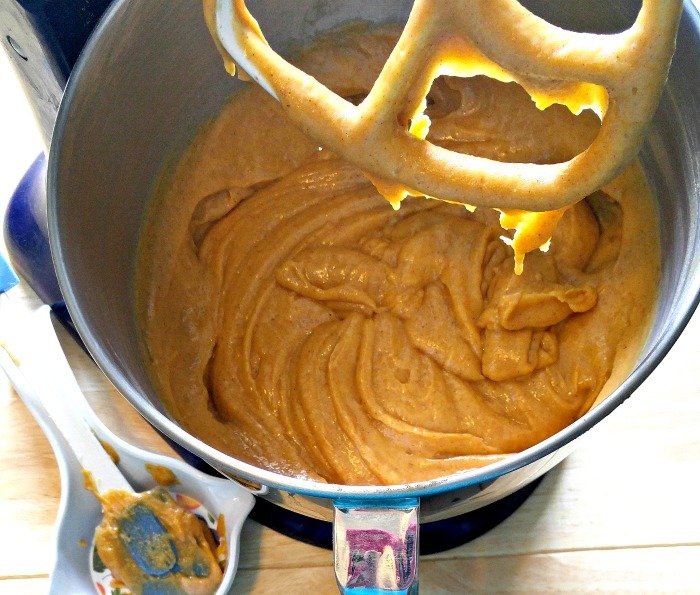 Place the sugar, oil and canned pumpkin in the bowl of a stand mixer. Mix well until it is thoroughly combined. Beat in the eggs, one at a time. Gradually mix in the dry ingredients, beating well between each addition. 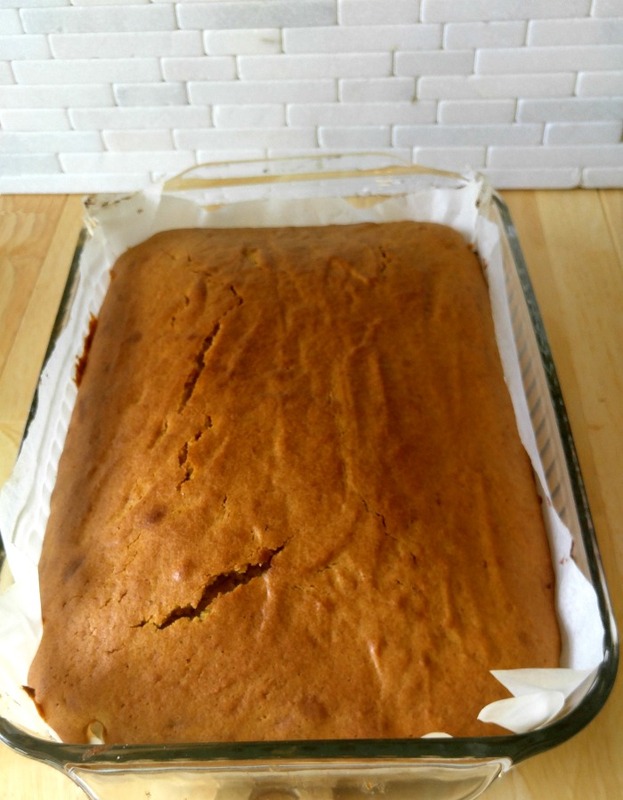 Pour the mixture into the prepared pan and cook in the preheated oven for 45-50 minutes, until a toothpick inserted into the center of the cake comes out cleanly. Place a silicone mat or parchment paper on a baking mat and spread out the flaked coconut. Put in a preheated 350º oven and cook for 5-7 minutes until the coconut is lightly toasted. Watch it carefully so that it does not burn. 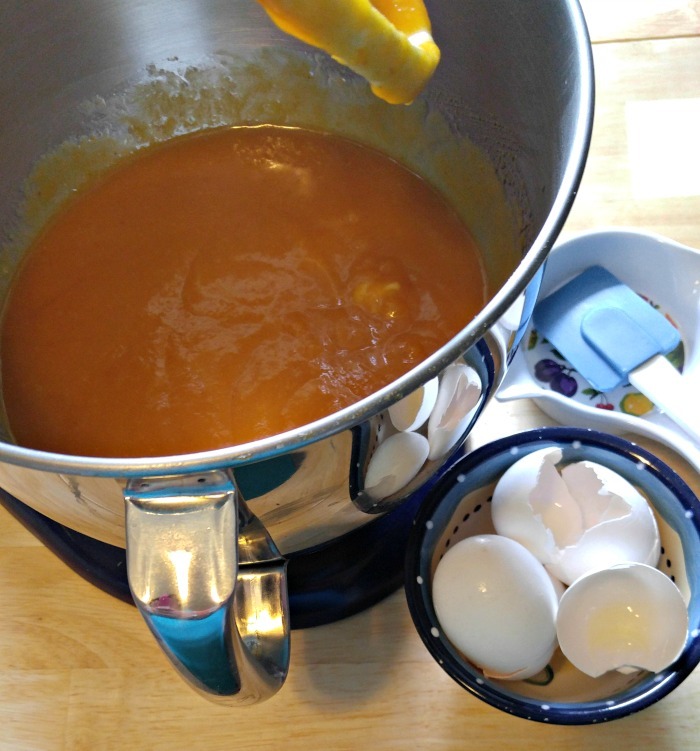 Place the beaten egg in the bowl of a stand mixer and add the melted butter and mix well. Stir in the pure vanilla extract and gradually add the confectioner's sugar. Beat well and frost the cake after it has cooled completely. NOTE: This is my mother's recipe and is Decades old. If using raw eggs is a concern for you, just add extra milk to the icing to get the desired consistency and omit the egg.